George Fox’s tract To all that would know the way to the kingdom (whether they are in forms, without forms, or are above all forms. A direction to turn your mind within, where the voice of God is to be heard, whom you ignorantly worship as afar off; and to wait upon him for the true wisdom. 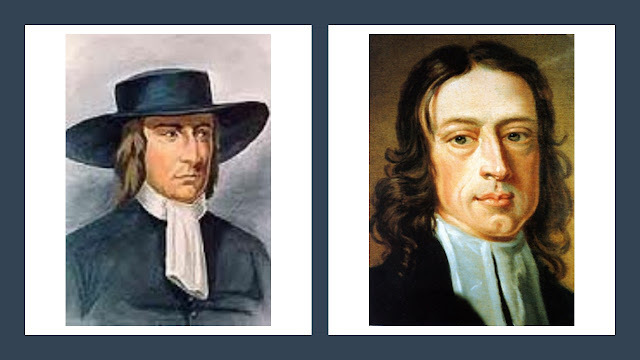 That you may know truth from error, the word from the letter, the power from the form, and the true prophets from the false) was written and published in 1654 just as the ‘Valiant Sixty’ Quaker ministers were beginning to unleash their vigorous and wide-reaching preaching campaign on the world. It is therefore an extremely important articulation of key aspects of the early Quaker message. 1. The Spirit is available to all people- Fox proclaims that the new covenant has come in which the Spirit of God becomes available to all people since it has been poured out on all flesh. Divine revelation has not ended and God now speaks to all people through the Spirit which is Christ. 2. Only the Spirit of God can bring people to the Kingdom – Fox asserts that only the Spirit of Christ has the capacity to transform people if they follow its guidance. This Spirit has the power to bring people into the kingdom of God. It reveals sin and provides the power to overcome it. 3. The nature of sin and salvation – Fox suggests that sin results from people ignoring Christ as their inward teacher and as a result becoming separated from God. Therefore, salvation comes by turning to the transformative power of the inward teacher. He rejects the idea that salvation comes by grace alone because this allows people to justify continuing to live in sin. Salvation always involves real transformation through the power of God. 4. Outward physical things do not have the power to save - Fox states that God is a Spirit that is present within us all. Therefore, God cannot be known through outward physical things. Only the inward spiritual power of God can teach and transform us. God is the Word and the primary authority rather than the scriptures or human ideas and institutions. 5. The nature of the True Church – Fox makes clear that the true church is formed when people are gathered to be taught directly by Christ who is their only leader and source of authority. The true church is not based on outward human authority, physical buildings or the letter of scripture. 6. The nature of the false churches – Fox accuses the ‘false churches’ of adopting old covenant ways. He states that they are focused on man-made practices and physical things that by their nature lack divine power. This includes church buildings, the letter of scripture and human authority. The gospel is freely given as a gift but the priests of the false church preach it for financial gain. 7. Spiritual Counsel – Based on these understandings, Fox gives some simple spiritual counsel. He asserts that people need no other teacher than the Spirit of Christ (e.g. it is only the Spirit that can interpret and make sense of the Bible). He therefore encourages people to pay attention at all times to the guidance of the Spirit that is within them. People need to take time to listen to this guidance. This is what really matters. 8. The Kingdom of God is coming on earth – Fox argues that the final defeat of evil is coming very soon because God is about to establish his rule on earth. He states that, when this happens, the power of unjust government and the false churches will be destroyed. For the people of God, loyalty to the way of the Kingdom inevitably brings them into conflict with the world. I have produced a modern English paraphrase of this text which is set out below. The Spirit of Christ is available to everyone. If you pay attention to this Spirit and are guided by it you will become what God intended a human to be (e.g. it will teach you what is good and make you aware of what is bad). The Spirit of Christ will draw you away from the idolatry, division and evils of ‘the world’ and take you instead to the ways of God and God’s Kingdom. The things of the world are corrupt and perishable; the things of God are pure and eternal. Those who focus on the things of ‘the world’ give priority to the letter of scripture over the Spirit of Christ (the Word of God) but God’s Kingdom cannot be known through such outward things. In the old covenant, although Abraham, Moses and the prophets were guided directly by the power of the Spirit, the Jews generally focussed on outward things that have no power rather than the Spirit and this lead them to reject Christ. Today, those who focus on outward things also reject Christ. However, those who are guided by the Spirit of Christ (the real power) reject the ways of ‘the world’ and grow closer to God all the time. This causes conflict with ‘the world’. The Spirit of Christ will show you the falseness of all those who base their faith on the things of ‘the world’ rather than the things of God. The Spirit of Christ is eternal and unchanging and if you follow it you will be led in unity to the one true way. This will free you from the temptations and evils of ‘the world’ and from all false man-made religion. Instead you will become part of the one true church that is gathered and taught directly by God (rather than by outward things and human teachers). The Spirit of Christ is always with you whatever you are doing. Rather than dwelling in your own thoughts and wandering mind, pay attention instead to the Spirit which will reveal what is wrong in you and teach you what is right. The first thing you must do is take time to listen for and hear the Spirit of Christ working within you. This will reveal what is wrong in you and give you the power to overcome it. Our ‘worldly’ ways of reasoning and understanding cannot comprehend God. The true church cannot be established by the letter of scripture or by clever human ideas. It can only be gathered by the living Spirit of Christ working within us. The Spirit undermines all our ‘worldly’ assumptions and ways. The Bible is not the Word; the Bible itself says that God is the Word. The Word of God which came in a human form in Jesus Christ is the head of the church. The church is not a building; it is a gathered people led by the Spirit of Christ (which is the Word of God). The false church of outward buildings and the outward scriptures is not acceptable to God. God will soon act decisively to defeat the evil and disobedient powers of the ‘world’ and to overturn all the false churches. When this happens God’s rule will be established on earth forever and the power of unjust government and false church (that have always worked together) will be undermined and destroyed. The old outward forms (such as formalised prayers, preaching and singing) will be seen to be worthless because they lack the living spirit of Christ (the Spirit that inspired the scriptures). Christ is available to you and can transform you into the sons of God. In this way God will govern his people and be the head of his church. Christ enlightens every one of us and if you recognise the Spirit and follow it you will be transformed. However, those who reject the Spirit and ignore the evil it reveals in them will remain separated from God. You will find that the teaching of the Spirit within you will be consistent with the teaching of Jesus Christ. When you do wrong you will know it is wrong because the light within you will tell you so. If you reject your inward teacher you are showing your contempt for God. I am not promoting the idea of human free will. The Spirit of Christ is contrary to the human will. The Bible cannot free you from sin, only the living Spirit of Christ can do that. The Bible is a declaration of the Spirit that existed before the Bible was written; it does not have the power of the Spirit. The Spirit inspired the writing of the Bible but the Bible is not the Spirit itself. The living Spirit of Christ is scripture within you and it will enable you to understand the meaning of the outward scriptures. Christ is able to free you from sin. You do not need to ask God to show you your wrongs for these are already revealed to you by the Spirit working within you. Not only does the Spirit reveal sin but it provides the power to overcome it. Yet those who say that we are saved by God’s grace alone often use this as an excuse to continue in sinfulness. This abuse cannot continue any longer. It is useless to build up status and wealth on this earth for only God is worthy of such glory. The guidance of the spirit that is made available to all is a gift of grace from God. The root cause of all the evils of ‘the world’ (e.g. drunkenness, swearing, pride, haughtiness, oppression and injustice) is that humans ignore their inward teacher that was given by the grace of God. But God will have victory over evil. God is pouring out the Spirit on all and men and women are being called to proclaim the way of God through their actions and their words. This is a cry for justice, righteousness and equity. God is coming to destroy evil and to reign on earth. Those who follow the Spirit of Christ will be part of this process. Those who reject the Spirit of Christ and continue to persecute the saints will be condemned. Those who reject the Spirit of Christ within them have chosen to value human pride and vanity. They choose to believe those who tell lies about the nature of God (Jer 5:31). They are only interested in their own gain (Isa 56:11) and do not follow the way of God (2 Pet 2:15). They follow those who judge, preach and prophesy for financial gain (Mic 3:11 & Ezek 34:2-15). When we follow the Spirit of Christ we follow the same Spirit that inspired the prophets, the apostles and those who wrote the scriptures. We don’t need paid judges, priests and prophets because we all have direct access to Christ ourselves. Therefore those who seek to make money from what is freely given (i.e. the clergy) are evil. For if we support these evil people then we would be evil too. If we agree with those who argue that God no longer reveals himself to humans we would be denying Christ because it is Christ who continues to reveal God to us (e.g. Paul did not become an apostle until Christ was revealed in him). You cannot be a minister of Christ if you deny that God continues to reveal himself to us through the Spirit of Christ. The true prophets speak the words of God. However, the false prophets only speak their own words. The true prophets have always condemned this. God is revealed to us as a free gift through the Spirit of Christ working within us. Those who seek payment for their preaching and rely on the letter of scripture rather than the living Spirit of Christ are shameless people. You need no other teacher than the Spirit of Christ. The Spirit will be your teacher and will make sense of the Bible for you. If you reject your inward teacher you will be condemned by God who is coming soon to establish his reign on earth. God who created all things is not to be found in physical buildings and special places (like temples and church buildings). People can only know God when they have received God within because the human body is the real temple of God. If you reject the Spirit of Christ within you, it will not be possible to understand the scriptures or to enter the Kingdom of God. The Spirit of Christ provides the only way to God. Without the Spirit of Christ you will not be able to understand what the prophets and the apostles have said for it was the Spirit that produced their words. Those who accept the Spirit of Christ and believe it, become the sons of God because God is working through them. This is wonderfully clear and helpful, Stuart, many thanks.